This book reveals Mother Goose as a disguised Mother Goddess figure. Fairy tales, folk tales, and nursery rhymes transmit pagan and heathen information in hidden form, often through symbolism. I recommend this book for both scholarly and general readers. The introduction tells how author Jeri Studebaker wrote the book, and goes into her personal experiences, some of which are in the category of personal gnosis. The author began with the image of Mother Goose in folk art, including many images of her dressed as a witch with a black cone hat and broom. The tale of the puzzle box with the image of Mother Goose riding through the sky in a wagon is delightful. The author connects Mother Goose with goose-footed goddess figures, such as Queen Perauque, and tells us that one of the origin stories of Mother Goose is that she was Goosefooted Bertha, the mother of Charlemagne. Later, Studebaker discovered that Jacob Grimm said Bertha is a name derived from the goddess Perchte, a regional variation of the goddess Holda, who is often seen in Heathenry as an aspect of Frigga. The book started to lose me by equating Holda with Hela, Cinder-Ella, and Harlequin purely on the similarity of the sound of their names. I was prepared to be disappointed, especially when the author referred to the heathen and pagan societies of pre-Christian times as “pre-patriarchal,” which flicked my fluff-o-meter, but once past the introduction and into the main body of the book, the author makes her case for each of her contentions with plenty of backup from primary and secondary sources. The book examines the one traditional poem that has Mother Goose in it, which contains symbolism such as a golden egg. The author relates the bird and egg symbol to the story in Egyptian mythology of the bird goddess producing the sun egg. The book goes on to examine fairy tales collected under the Mother Goose title, beginning with the earliest such collection, by Perrault. Perrault’s book collects several fairy tales with Fairy Godmother figures who rescue and mentor the main characters. Studebaker proposes the Fairy Godmother is a disguised Mother Goddess. Studebaker relates Mother Goose to both Germanic and Greco-Roman goddesses, and contends that the Mother Goose figure grew out of a union of such goddesses during the time of the fall of the Roman Empire. The Germanic goddesses include Bertha / Perchte / Holda, goddess of spinning and motherhood, and Hel or Hela, the Germanic / Norse goddess of death. The Greco-Roman goddess is Aphrodite / Venus, who was depicted in art riding a goose like Mother Goose does in art and in her one poem. In relating Harlequin to Hellequin and thus back in time to Hel, the author equates Hel with Holda. She contends that since the female Hellequin turned into the male Harlequin, Mother Goose’s son Jack must be androgynous like Aphrodite’s son Eros. In explaining that the goddess Hel has the same name as her realm Hel, the author makes the common mistake of identifying Valhalla as a “better place” than Hel, but that is tangential to her point, and does not detract from her overall thesis. Going forwards in time again, Studebaker traces the development of the Harlequin character. The Mother Goose and Harlequin play by Dibdin fleshed out the disjointed narrative of the one Mother Goose poem, shedding light on the character’s motivations and other questions raised by the poem. Connecting witchy Mother Goose art, particularly of the 1800s, to the Bird Goddess, Studebaker suggests the American Halloween witch’s large, pointed nose may be a remnant of a depiction of a bird’s beak, such as the mask of the Schnabelpercht, a bird goddess figure in midwinter celebrations in Austria. In continental Germanic culture, both the goddess Holda and Mother Goose are called Frau Gode, which means Mrs. God. The Neolithic bird goddess had the body of a woman and the head of a bird, with a beak and wings. Marija Gimbutas related the bird-like characteristics of the wings of Freya, the Valkyries, and Holda to the Old European bird goddess who both gives and takes life. As the Valkyrie is a psychopomp, and Freya as head of the Valkyries and an owner of the land where half the battle slain go is in some ways a death goddess or crone-witch death figure, whereas Holda and Mother Goose seem more oriented to child end of the lifecycle, it appears the function of the bird goddess as giver and taker of life was slightly split in post-Stone Age times. Gimbutas believed that Holda and Brigid are survivals of pre-patriarchal, Neolithic goddesses. In the next section of her book, Studebaker goes into the competing values of Stone Age society, which she terms pre-patriarchal, nonviolent, and abundance-oriented, the values of Old Europeans (what heathens like me would call Vanic values), and iron age civilization, the patriarchal, warlike, and scarcity-oriented culture that arrived with the migration of the Indo-Europeans (what heathens would call Aesiric values.) She traces these values through history and through folk culture. Studebaker examines various nursery rhymes and the lessons they teach, which were at odds with the official values of the 16th through 19th centuries. She then gives fairy tales the same examination under her lens of seeing nonviolence and joy as female, goddess-oriented values, and violence and duty as male, by this time Christian-overlayed, values. Studebaker outlines theories about fairy tales. She relates various fairy tale characteristics to a pre-patriarchal, goddess-centered religion, for example, by totaling the number of appearances of specific animal motifs in fairy tales. Fairy tales are examined as mythology, as shamanic spirit journey, and as magic spell. The animal helpers in fairy tales are spirit guides. Telling the tale is casting a spell; spell once meant story. The book contains several examples of fairy tales as spells for specific purposes. For each story, the author suggests ritual tools based on objects in the story. For example, the story of Hansel and Gretel has white stones in it as trail markers, and Studebaker suggests using a white stone in a spell to find a lost child. Studebaker suggests incantations based on the rhymes in each story, ritual sequences based on the plot, and so forth, making each fairy tale a complete spell. These are spells that one could actually perform. This part of the book will be of great interest to witches seeking to use fairy tale magic. There are spells for healing, protection, and so forth. Once one reads through the examples and gets the hang of it, one could apply this method to other fairy tales to yield rituals of various kinds. The book then goes into a shocking conspiracy theory involving foundling homes and the Inquisition. Veering back to the subject of coded messages in fairy tales, the book tells how contemporaries of Perrault retold fairy tales as commentaries on then-current politics as a means of getting past censorship. Perrault would have been familiar with these coded, modernized versions of fairy stories when he set out to write the first Mother Goose book. He may have been aware of pagan content in the fairy tales he recorded. Studebaker contends that Perrault may even have been a secret revolutionary. Perrault did not put his name on his Mother Goose book and disguised his association with it. This is usually explained as embarrassment about being associated with children’s stories, as Perrault was already known as a serious writer for adults. Studebaker raises the question: was Perrault not embarrassed, but afraid? He was writing in a time period when they were still burning witches. As he lived in a time and place where it was legally chancy to be a Protestant, let alone a goddess worshipper, fear of witch persecution would have been perfectly reasonable. Was Charles Perrault a witch? The book has a number of appendices, including a handy list of fairy tale symbols and their meanings. There is a long bibliography, index, and so forth, as one would expect in a serious academic work. This book is academic in style everywhere but the introduction; however, the concepts are presented clearly and any terms that a reader without a background in feminist studies and literary theory may not be familiar with are explained thoroughly. This may be a challenging read for a reader used to reading at the level of American Family Newspaper style, but I think a general reader can follow it, especially as the subject of fairy tales will be familiar to those interested in the topic. Anyone interested in fairy tales, folklore, and folk magic should read this book. 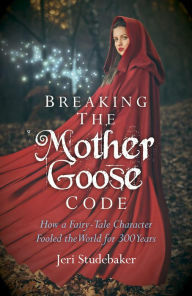 Breaking the Mother Goose Code is a revelation for anyone interested in finding more information about the European goddesses than has survived in the official lore written down by and for men. I highly recommend this book for both academic and general audiences.